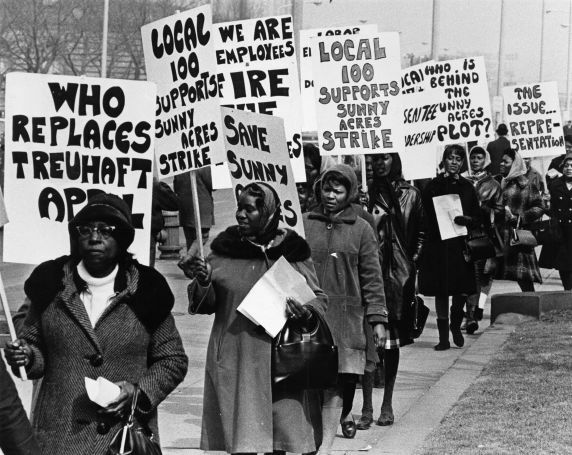 AFSCME Local 1746 members and supporters picket in Cuyahoga County, Ohio, 1967. The strike at Sunny Acres Hospital lasted 11 weeks and resulted in recognition of the local and a contract. See AFSCME Public Employee magazine issues February - May, 1967.